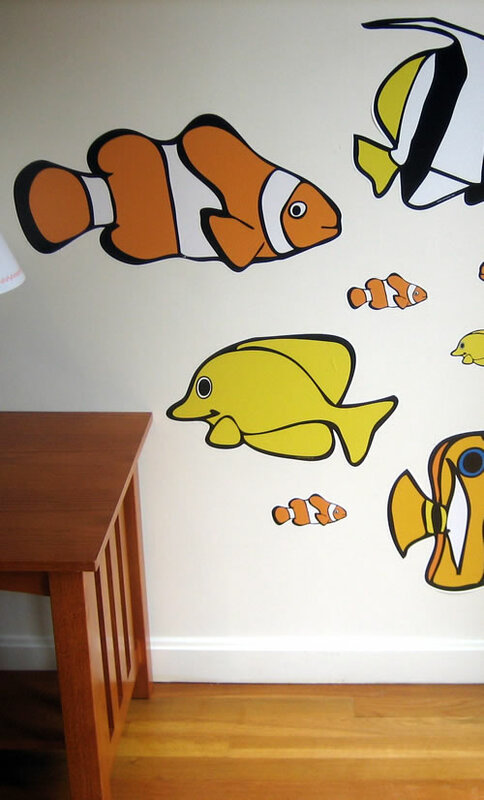 Wall Murals, Space Design, Children's murals, Youth marketing, Web Marketing in the Boston area. Ever since Coleman Coates can remember, he has wanted to do creative work with peoples from other nationalities. "Different cultures and languages fascinate me" says Coates. Coates has lived and worked in Budapest, Hungary, St. Petersburg, Russia, mainland China, and Peru. He holds a bachelor's degree in art & telecommunications and has worked in advertising and marketing for seven years. Coates is also a licensed elementary teacher having taught in Los Angeles and Massachusetts. He recently completed an MBA in Boston. Sunnyday Design™ offers wall decals for the home, office, or day care center. SAVE 33% NOW through July 6 on most of our designs! Regularly $45 NOW $29.99! Easy to install -- No need to remove furniture or equipment. Just peel and place on the wall. Large decals 2 feet and bigger! Make a big impact with little effort.